I know! It's so... normal. So reasonable at $68. So very much not a bedazzled reindeer skull. But this colorblock rug from Urban Outfitters represents a little slice of inspiration for me. I think I want to redo my bedroom. You know -- the bedroom I've never showed you because it's so two years ago. I could keep most of my furniture in my fantasy redo, but I'm going to need a new headboard and linens. And a new rug. Me likey this one. It feels kinda Bauhaus to me. But I need it to go on sale because that other stuff ain't gonna be free, and you know I just redid the dining room, and when The Hunny reads this he is going to KILLKILLKILL. I digress. Sort of. 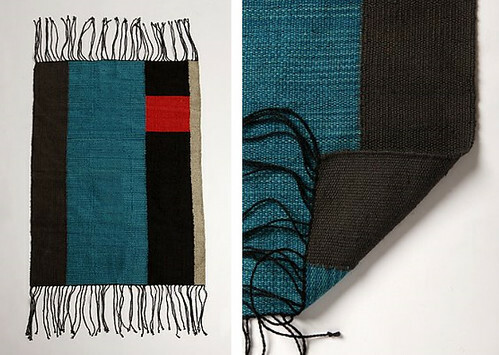 You see, after I found this rug, I started looking at UO's other offerings, and you know -- they have some good stuff. 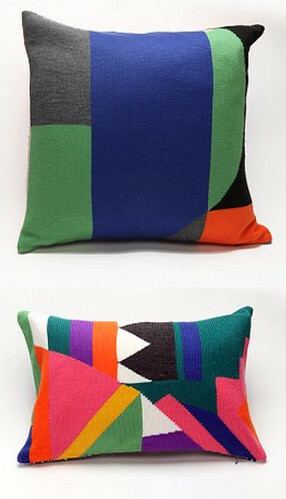 Like these pillows. I'll take the top one, and maybe if Karly is nice, she'll get the bottom one for a Christmas present. I'm a very giving person. I would also like to give myself this origami quilt. I'm a bit concerned about the flowery underside, but I think overall it would do a swell job covering the futon in my office. I could give this bench to Ike for his room, because I'm sure it tops every four month old's Christmas list. 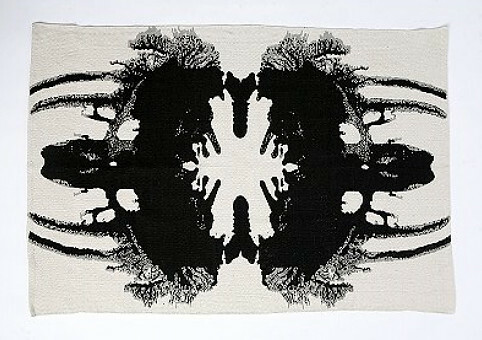 I tell you, The Hunny has just been slavering over this cotton Rorschach rug a la Andy Warhol, and who am I to deny his dreams? Of course, I wouldn't put it on the floor. It would make a much better wall hanging or upholstery material. 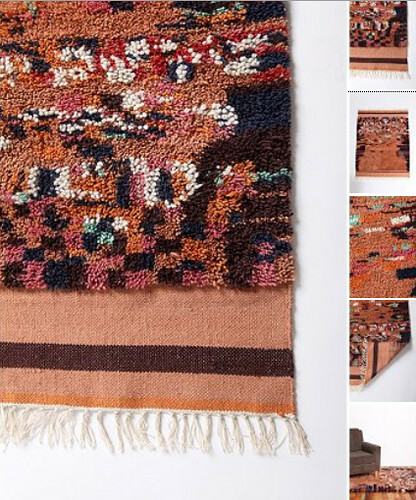 I'm sure there's someone out there who really needs this Rya style shag rug, but no one's going to buy a 4x6 rug for $198, Urban Outfitters. Put that baby on sale! I am really digging the arty prints and finishes on lots of UO's home goods. 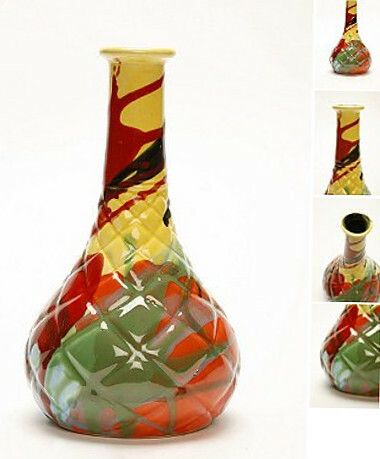 I wouldn't be mad if someone gave me this paint splatter vase. 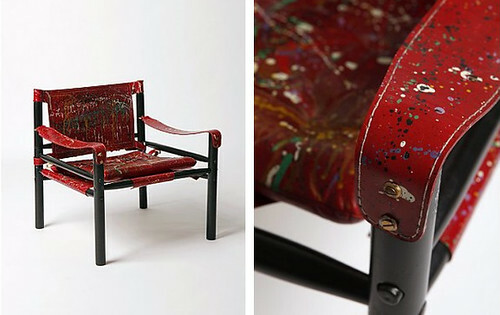 However, I am wondering what you dudes think about this Painter's Chair, so called because it's covered in... paint. It's $298. Thoughts? And, ok, I know it's not related to interiors, but I had to show you UO's Booty Buddy Blanket. THAT IS A SNUGGIE. And yet I find it repulsively compelling.... This confirms my suspicion that Snuggies might actually be awesome if they came in nicer prints. 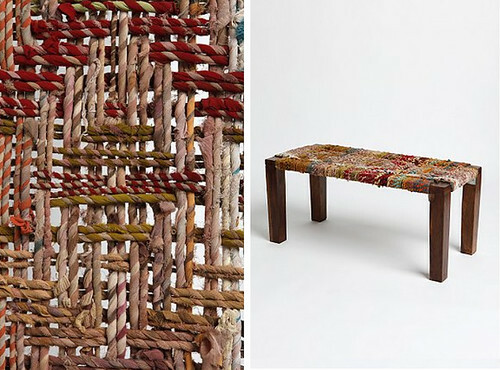 While I'm busy twiddling my thumbs waiting for some of this stuff to go on sale, you might want to head over and check out the home goods UO already has on sale, like Alexander Girard quilts for DIRT CHEAP (if you like that sort of thing), good deals on kilim rugs, and cute lamps. It's never to early to start Christmas shopping. For yourself. I mean for others.